We present a new exhibition of talented artists each month. 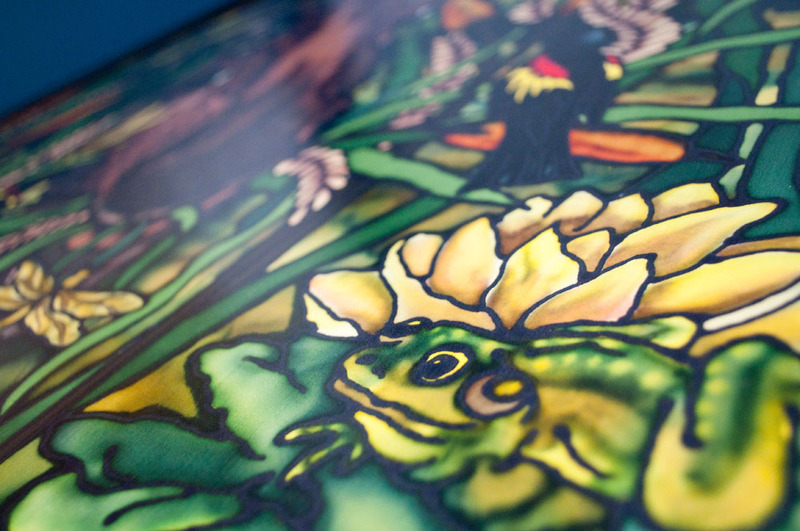 Our workshops are open to the public to advance their artistic skills. 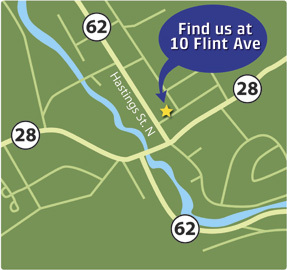 Come visit our Gallery shop; something for everyone and all made by local artists and artisans. 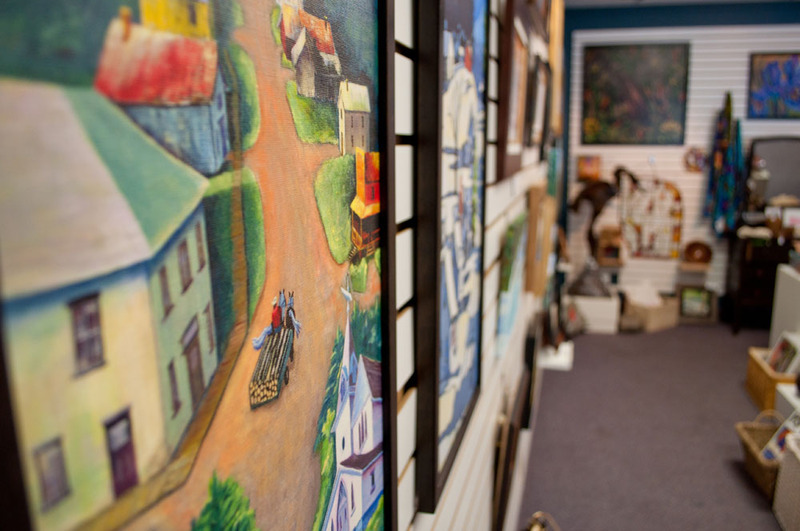 The Art Gallery of Bancroft (AGB) is a public art gallery in the town of Bancroft, Ontario, Canada. The AGB boasts a permanent collection including a large collection of Oscar Schlienger's work. 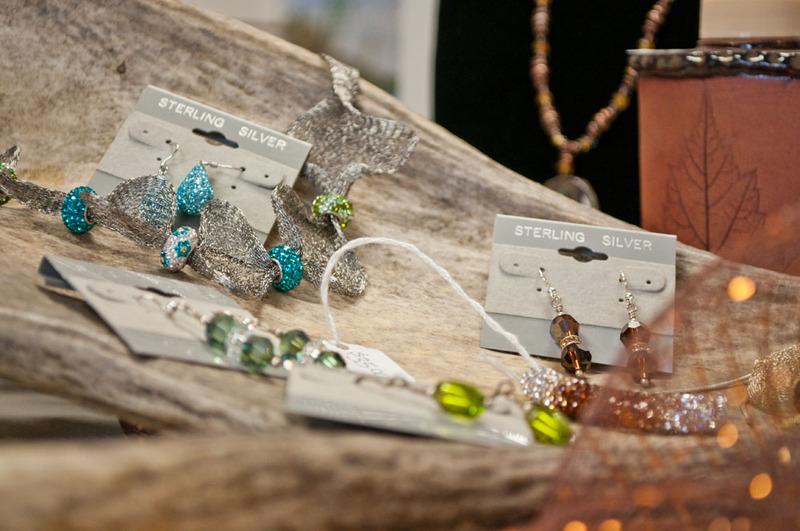 The AGB Gallery Shop displays work from the area's artists and artisans and exhibitions from local art and craft associations. 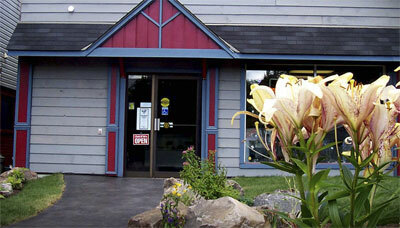 Operated by volunteers and financed by fundraising, the AGB mounts 10 exhibitions per year focusing on local artists. Every month the Gallery presents new shows, which include the annual "Invitation - Juried Exhibition" for which the best in show receives the David B Milne Award. Exhibition proposals are accepted for the Dec 21 and June 21 deadlines. In encouraging public participation in the visual arts, the Gallery runs a slate of workshops (mostly one-day sessions) throughout the year with talented instructors teaching skills in a variety of artistic media. 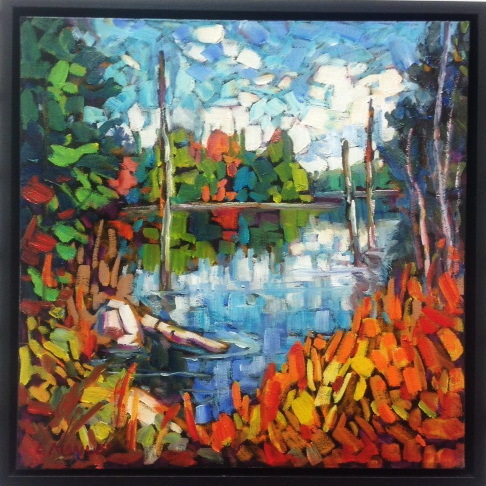 The Gallery features the works of Carolyn Jongeward from April 3 to 27. 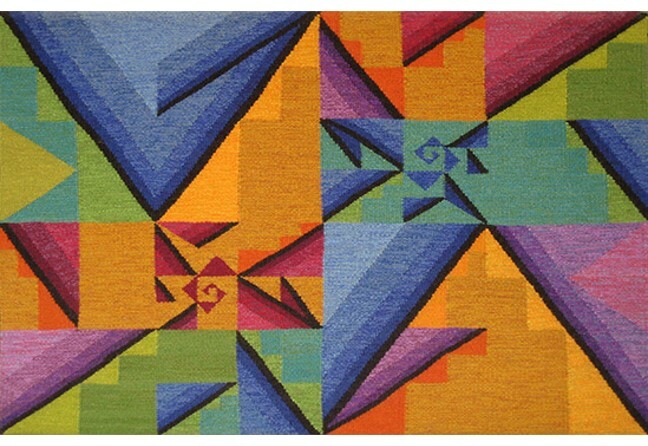 Her exhibition, "Correspondences: Arts of the Loom and Easel" is composed of both paintings and tapestries. The opening reception is Friday, April 5th at 7:30. The Co-Sponsors of the exhibition are Micheline Leveque, Barrister and Solicitor, and Barbara Allport. Read more about the artist by clicking here. You'll be seeing more from us! An Article about the AGB was prominent on the front page of April's Edition of the Apsley Voice, thanks to Molly Moldovan. And a brief history of the AGB's early days is scheduled for the May edition of Apsley Backroads. Lakeside-dwellers, watch for an ad and article in the spring-summer or annual Cottage Association publications. It's not nearly as bad as it sounds! Congratulations to stalwart volunteer Deb Jeffrey on being "mugged" with goodies and a china mug from Irene Halliday of Volunteer and Information Quinte in appreciation to her service to the Gallery. Thanks, Deb! Be a vital part of the AGB puzzle and become a member now! Support the arts and artists as our volunteer-run gallery continues a 34 history of shows, exhibitions, workshops and gallery shop operation - and it's only 20 bucks a year! Members receive 10% off gallery shop purchases, a discount at Curry’s Art Supplies, regular gallery updates and your support means the world to us! Learn more about using the e-transfer payment option here. 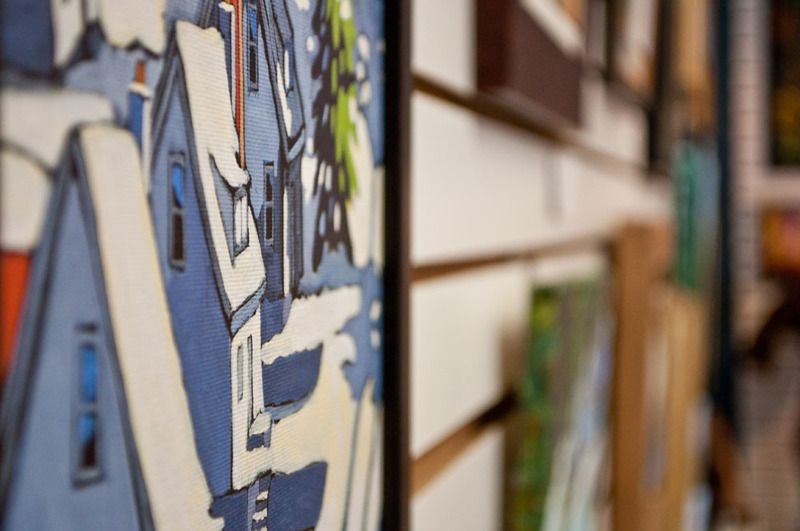 May 5: Tamara Gibson "Felted Sheep's Wool"
June 9: Chas Burke "Paint Like a Musician"
June 23: Bonnie Steinberg "Painting a Watercolour Street Scene"
You can read more about the workshop details by clicking here. 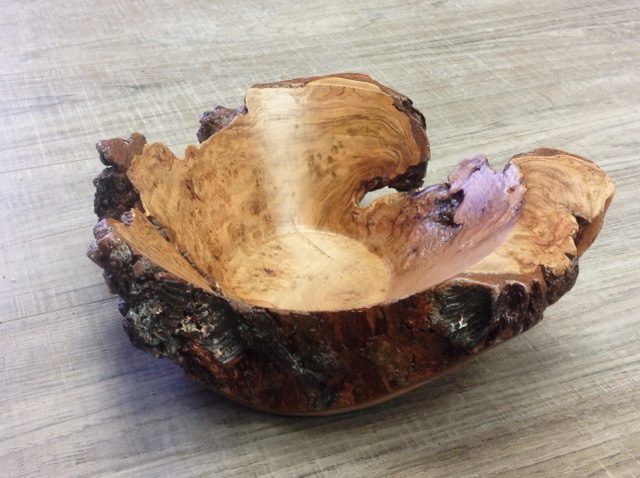 New at the Gallery Shop! 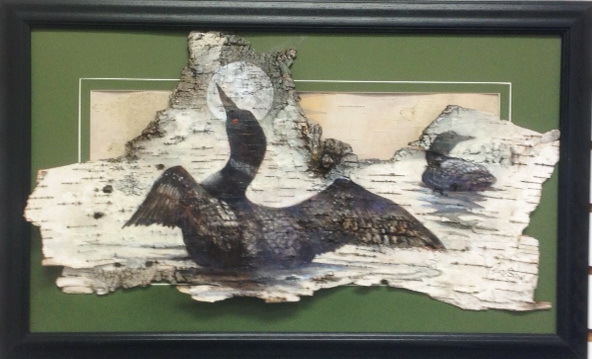 New artwork and crafts from local and regional artists arrive each month. Here are a few new items that may pique your interest! 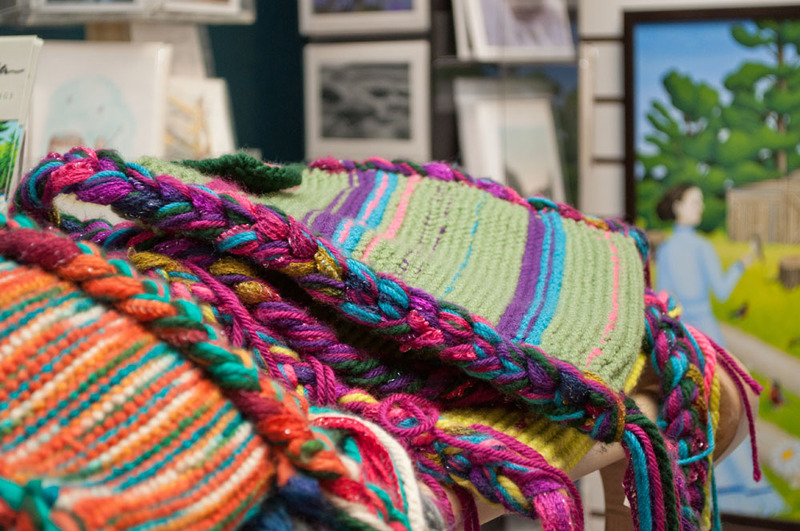 The Gallery Shop of the AGB offers for sale the unique creations of many talented local and regional artists. 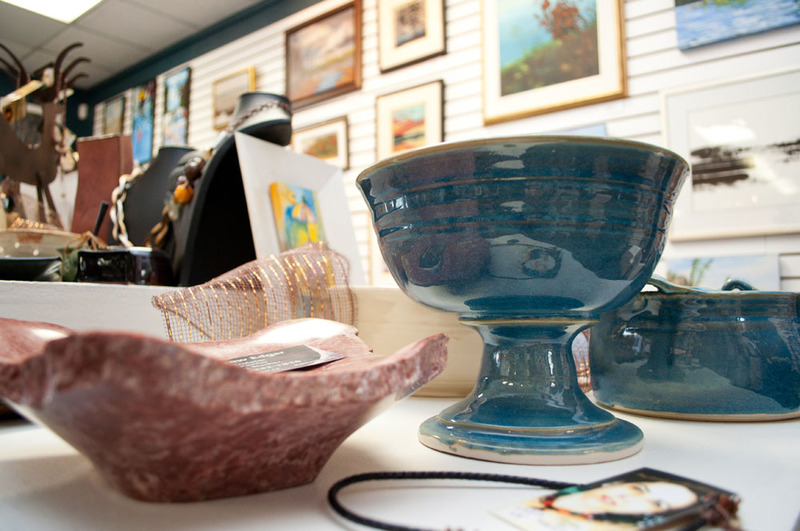 In addition to a collection of original paintings in a variety of media on display in the Gallery Shop, visitors are invited to peruse a wide variety of creations in ceramics, textiles and wood, jewelry, art books, art cards, stained glass, and so much more. 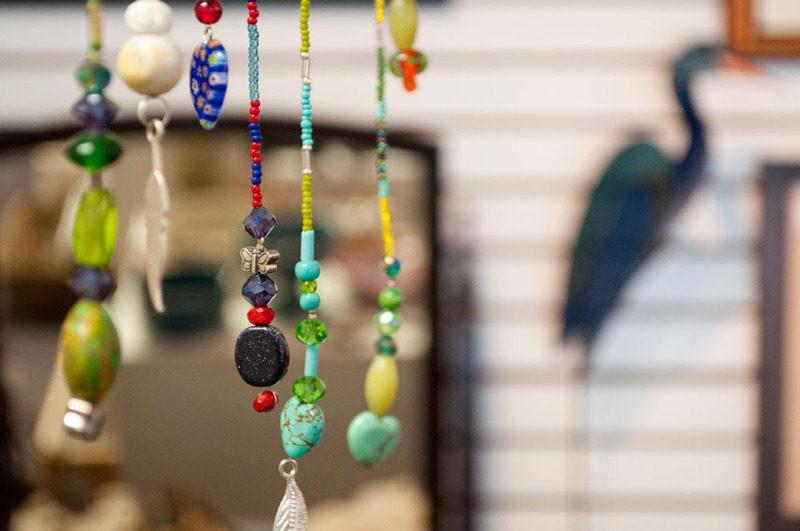 There are imaginative gift ideas in a variety of prices for all occasions like birthdays, weddings, Mother’s Day, hosting presents and Canadiana gifts for family and friends abroad. 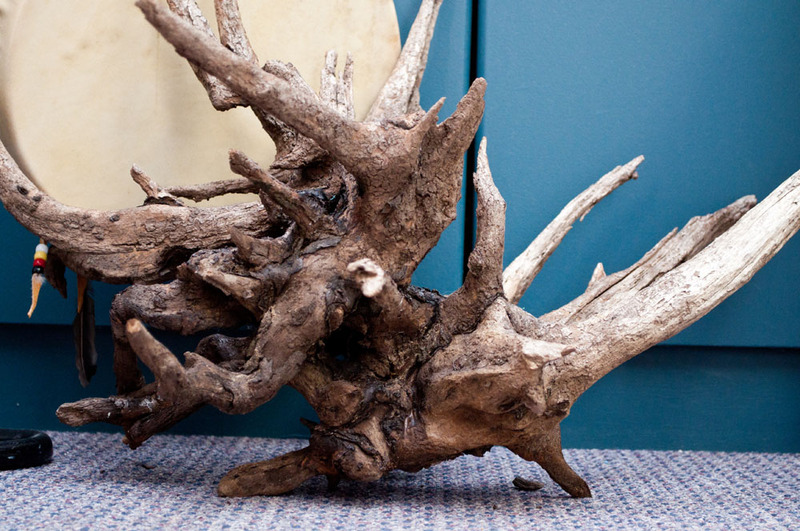 With a visit to the Gallery Shop, finding something special for the hard-to-buy-for person is almost a certainty. 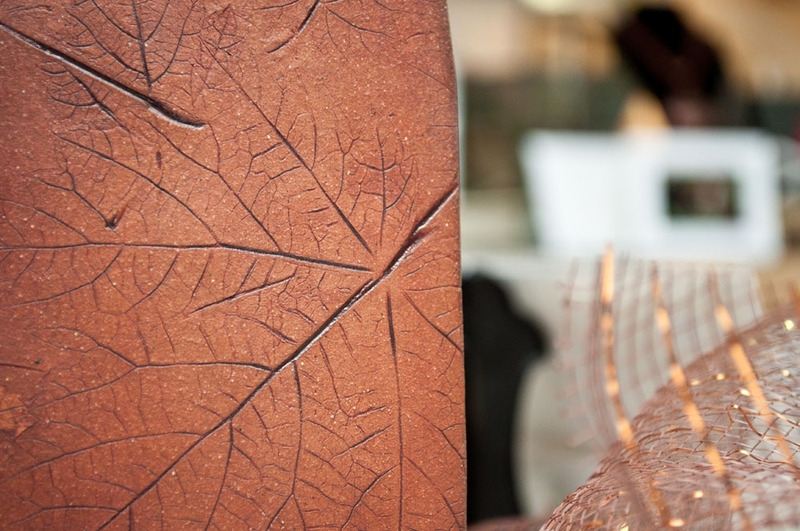 The display of artistic creations changes regularly, so there is always something new to admire. 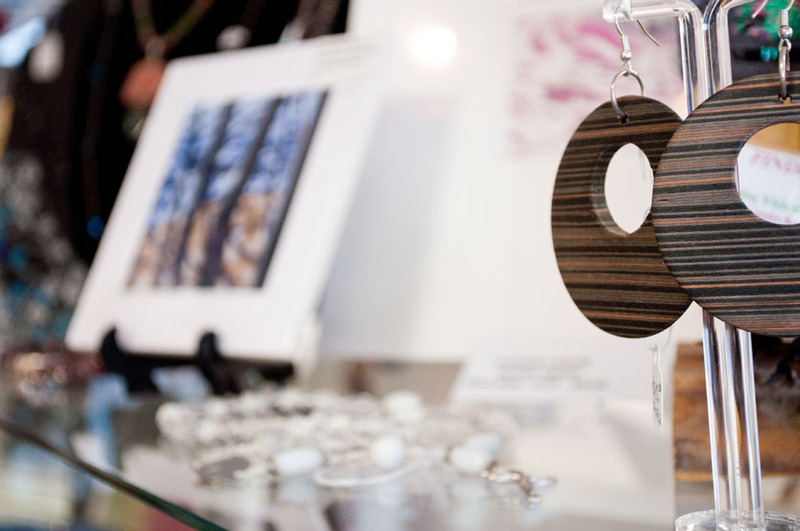 Are you a local or regional artist/artisan who would like to have your work displayed for sale in the Gallery Shop? 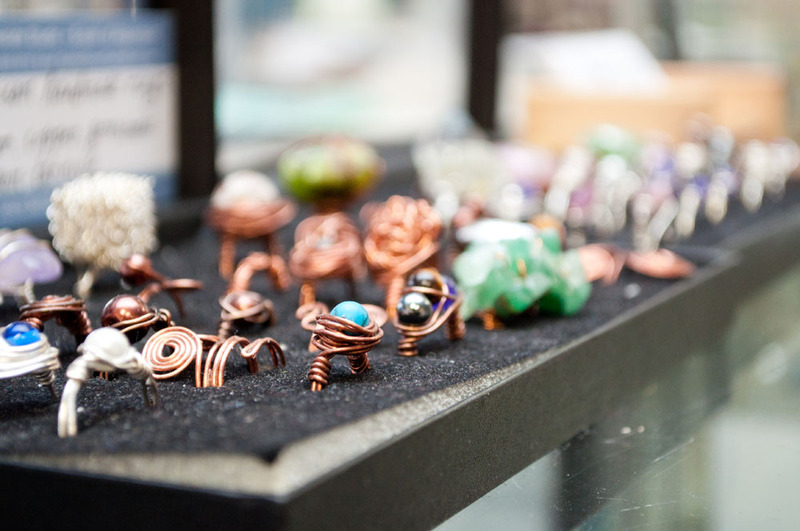 The Gallery Shop is run on a consignment basis, with the Gallery retaining 35% of the retail price on any sales. 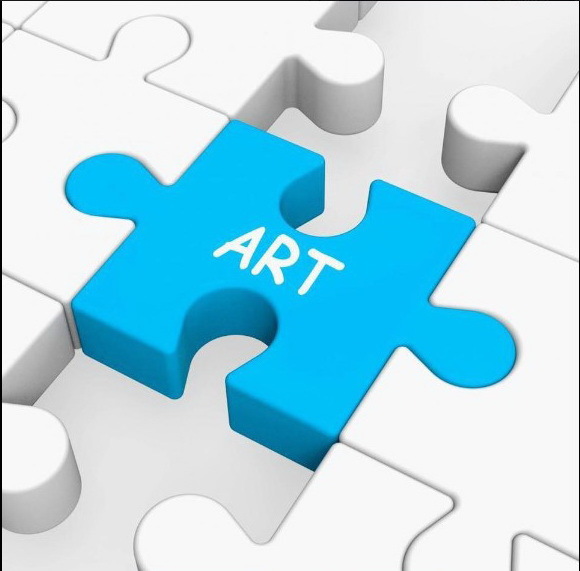 All work submitted for consideration will be reviewed by a committee with the intent of determining the suitability and saleability of the work. 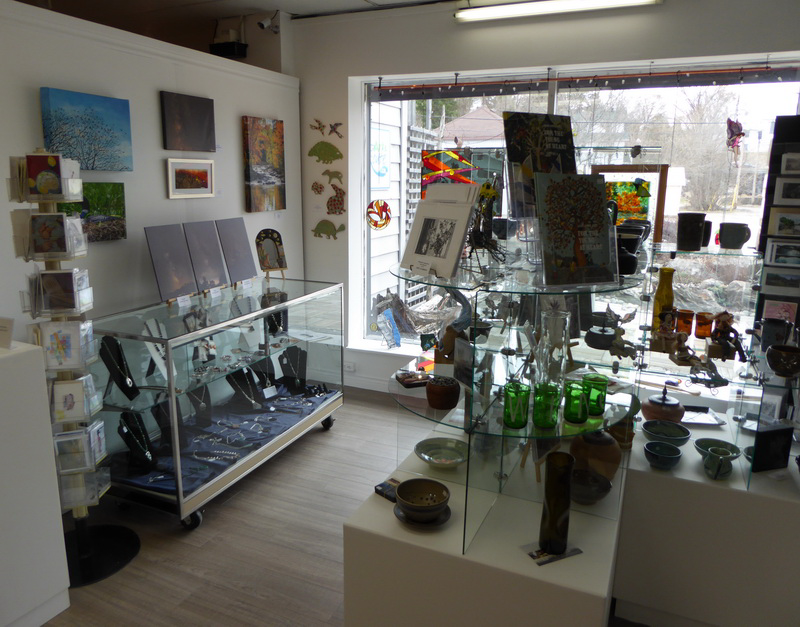 Note that it is AGB policy that you must be a current member of the Art Gallery of Bancroft to have your work displayed in the Gallery Shop. 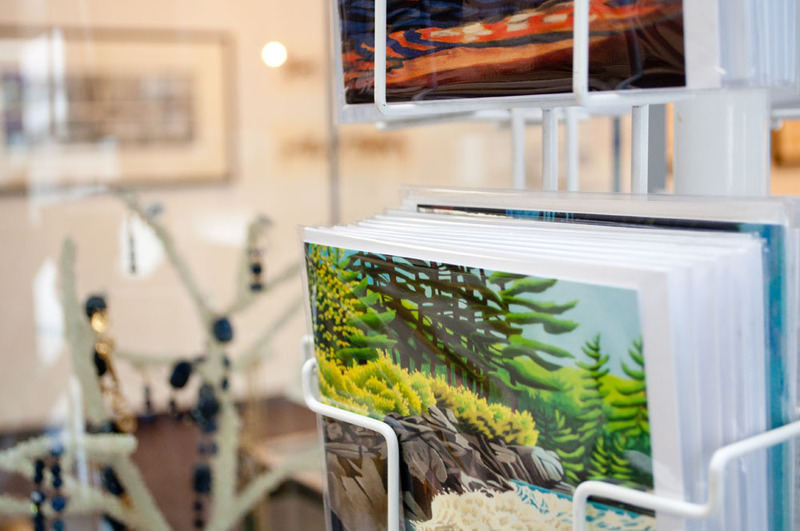 To learn more of the procedures and requirements for consigning your work to the Gallery Shop, please follow this link.